Now available for deployment on Azure, the 1.10 release of Pivotal Cloud Foundry extends its operational and developer productivity tools to include Windows Server and desktop .NET applications. PCF 1.10 also includes a number of new platform capabilities, including isolation segments for greater security and on-demand service brokers for simplified deployment of backing services. 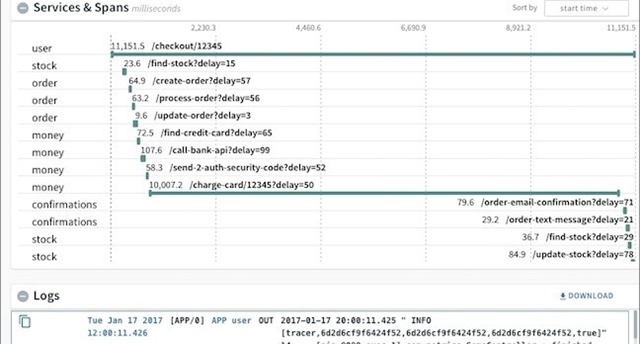 Finally, the latest release includes a significant update to PCF Metrics, allowing you to trace requests as it flows between your apps, even if they’re written with different frameworks. Dive into all the details of PCF 1.10 on the Pivotal blog or learn more about deploying PCF on Azure.